إن ترتیب الآثار داخل المتاحف عادة ما یکون حسب الترتیب النوعى والترتیب التاریخى أو الموضوعى ....مع تفضیل الإبقاء على المجموعات المتکاملة ویجمع المتحف المصرى فی ترتیب آثاره بین عدة طرق و نظراً لتکدس الآثار المعروضه وصعوبة التوفیق بین مکان العرض وطبیعة الأثر، فنجد أحیاناً عدم الالتزام بتلک الطرق فبدت آثار کثیرة غیر موفقة فی طریقة عرضها او من ناحیة اختیار مکانها رغم أهمیتها القصوى . ونظرلأهمیة المتحف المصرى ودوره العظیم فی الحفاظ وصیانة وعرض آثارنا؛ ورغم الدور الممیز للمسئولین على إدارته منذ إنشائه الا أنه ما زال التکدس الذى اعاق الى حدا کبیر فی بعض الاحیان العرض المریح والمنظم والمفهوم وبالطبع کان وجود المتحف المصرى الجدید أمل جدید فی ازاحة بعض الأعباء عن متحفنا القدیم. وربما تکون هناک فسحة لأعادة تنظیم آثار المتحف وخاصة الکثیر من القطع البالغة الأهمیة التى وجب علینا اعطائها بعض الصدارة فی طریقة عرضها؛ ویؤکد البحث أن طریقة عرض الأثر تلعب دوراً محورىاً فی هذا الموضوع ، کما یقدم استبیاناً مقترحاً یفید فی قیاس هذا الموضوع . This paper examines how design objects have been curated and displayed within the museum,studies of experience and expectations of visitors are important for museums in terms of management and development, however few studies in Egypt interested in techniques of arrangement of the objects which we need to enhance the visitor experience and intention to make repeat visits. This research tried to analyze the experience expectations of museum visitors. The measures used include visitors' perceptions of novelty and interactive communication and interpretation. - آدمز فیلیب وآخرون ، دلیل تنظیم المتاحف، ترجمة محمد حسن عبد الرحمن، الهیئة المصریة العامة للکتاب، القاهرة 1993. - جلال أحمد أبو بکر ، متاحف الآثار (کنوز الماضی – ثروات المستقبل)، القاهرة ، 2004. - عبد الحلیم نور الدین ، متاحف الآثار فی مصر والوطن العربی " دراسة فی علم المتاحف" ، القاهرة 2010. 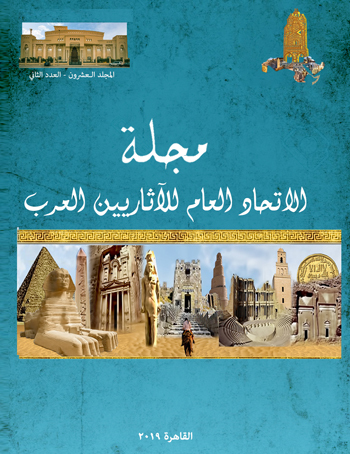 - رفعت موسى محمد ، مدخل الى علم المتاحف ، الأقصر ، 2008. - زاهى حواس ، أبراهیم النواوى ، علم المتاحف، المجلس الأعلى للآثار ، القاهرة 2010. - صلاح أحمد البهنسی ، المتاحف المصریة (کنوز من التراث اإنسانى) ، وزارة الثقافة ، القاهرة، 2004. - محمد صالح على ، هوریج سوروزیان، المتحف المصری، مطابع المجلس الأعلى للآثار ، 1999. - وقاء الصدیق ، متاحف الاطفال ، دار الشروق ، القاهرة ، 1993. Abd el-Qader, M., "Catalogue of funerary objects from the tomb of the Servant in the Place of Truth Sennedjem (TT1)", Text and CD-Rom, IFAO, Bibliothèque Générale 37 (2011). Ambrose, T. & C. Paine, Museum basics, Milton Park, Abingdom: Routledge (2012). Belcher, M. (Editor), Exhibitions, London (1991). Barker, E Contemporary cultures of display. New Haven: Yale University Press (1999); S. Macdonald, The politics of display. London: Routledge (1997). Bennett, T. The birth of the museum. : History, Theory, Politics. London Routledge (1995). Bogle, E. Museum exhibition planning and design. Altamira Press (2013). Boylan, P.J. 'ICOM at fifty', Museum (149), (1996), pp.47-50. Bruyer, "La Tombe No.1 de Sen-Nedjem a Deir el-Medineh", MIFAO, tome LXXXVIII, Le Caire, 1959. Burcaw, G, Introduction to Museum Work, Walnut Creek/ London, Altamira Press, 3rd ed. (1997). Charman, H. Just what is it that makes curating design so appealing? in L. Farrelly and J. Weddell, ed., Design Objects and the Museum, 1st ed. Bloomsbury Publishing (2016). Duncan, Carol. "Art Museums and the Ritual of Citizenship". Exhibiting Cultures. Smithsonian Institution, pp. 88–103. Farrelly, J. Waddelly (editors), Design Objects and Museum, Bloomsbury Academy (2016). Gaynor, K. "Making Histories, Making Memories", in Gaynor Kavanagh. Making Histories in Museums. Leicester University Press, ( London1996), pp. 1–14. Geoffrey, L. The Role of Museums and the Professional Code of Ethics, in ICOM, Running a Museum, (2004). Gluzinski, W. 'Basic paper', in: V. Sofka (ed.) Methodology of museology and professional training. ICOFOM Study Series 1 (Stockholm 1983), pp. 24-35. Haring, B. "The Tomb of Sennedjem (TT1) in Deir El-Medina. Palaeography", IFAO, (Cairo, 2007). Hein, G. Learning in the Museum. (London: Rutledge, 1998). Herreman, Y. 'Display, Exhibits and Exhibitions', in ICOM, Running a Museum, (2004), p. 93. Lewis, G. For Instruction and Recreation: A Centenary History of the Museums Association. London: Quiller Press (1989). Linda M. Blud, 'Social interaction and Learning among family groups visiting a museum' in Museum Management and Curatorship, vol. 9, (1990), pp. 43-56. Michael G. Hasel, “Israel in the Merenptah Stela,” Bulletin of the American Schools of Oriental Research 296 (1994): pp.45–61. Michael G. Hasel, “The Structure of the Final Hymnic-Poetic Unit on the Merenptah Stela,” Zeitschrift für die alttestamentliche Wissenschaft 116 (2004), pp.75–81. Michele C. , E. Margaret & S. Barrett, “Guided tour”: a method for deepening the relational quality in narrative research", Qualitative Research Journal, Vol. 12 Issue (2012): 1, pp.32-46. Montet, J., La nécropole royale de Tanis. Volume 1: Les constructions et le tombeau d’Osorkon II à Tanis. Fouilles de Tanis, ser. ed. Jean Pierre Marie Montet. Paris (1947). Montet, J., La nécropole royale de Tanis. Volume 2: Les constructions et le tombeau de Psousennès à Tanis. Fouilles de Tanis, ser. ed. Jean Pierre Marie Montet. Paris (1951). Montet J., La nécropole royale de Tanis. Volume 3: Les constructions et le tombeau de Chechanq III à Tanis. Fouilles de Tanis, ser. ed. Jean Pierre Marie Montet. Paris (1960). Nicola Ladkin, Collection Management in ICOM, Running a museum, (2004), pp. 17-30. Peter van Mensch, The museology discourse Towards a methodology of museology (PhD thesis, University of Zagreb (1992). Rasse, P. Les musées à la lumière de l’espace public, Paris, L’Harmattan (1999). Shelton, A. Critical Museology: A Manifesto. Museum Worlds 5(1) (2013), pp. 7-23. Shieh-Wen Sheng, Ming-chia Chen, A Study of Experience expectations of Museum Visitors, Tourism Management vol. 33 (2012), pp. 53-60. Simon, N., The Participatory Museum. Santa Cruz: Museums 2.0. (2010). Stam, D. The Informed Muse: The Implications of 'The New Museology' for Museum Practice. Museum Management and Curatorship 12(1993), pp. 267-283. Stephen, W., Speaking about Museums A Meditation on Language in: Museum Studies edited by: M. Bettina, (2012), p. 595; Philip Wright, The Quality of Visitor's Experience in Art Museums, (1989). Spielbauer, J., 'Museology - science or just practical museum work? ', Museological Working Papers 2 (Stockholm) (1981), pp. 16-18. Thompson, J., The Manual of curatorship. 2nd ed. London: Butterworths (1992). Turner, J, Designing with light public Places , Switzerlang: Ed. Rotovision (1998), pp. 24-26. Staniszewski, M., The power of display. Cambridge, MassMIT Press. (1998). Vicky, W. Caring for the visitor-in: Running a museum: a practical handbook (2004), pp. 17-30. Vergo, P. The New Museology. London: Reaktion Books(1989)..
Vincent, G. & Shih-Wei Lin, Shuo-Yan Chou, 'The museum visitor routing problem' in: Applied Mathematics and Computation, vol. 21, 1ssue 3 (2010), pp. 719-729. Vogel, S. 'Always true to the Object', in our Fashion, in I. Karp and S. D. Lavine (eds.) Exhibiting Cultures: The poetics and politics of museum display, Washington (1991). Yoyotte, J. "The Treasures of Tanis", in The Treasures of the Egyptian Museum, edited by Francesco Tiradritti. Cairo: The American University in Cairo Press (1999), pp. 302–333. International Council of Museums (2009). "Key Concepts of Museology" (PDF). icom.museum/fileadmin/user_upload/pdf/Key_Concepts_of_Museology/Museologie_Anglais_BD.pdf.